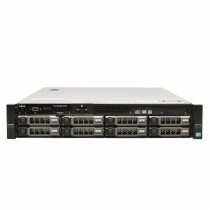 The Dell PowerEdge 2U rackmount server range incorporate dual socket Intel or AMD system boards, multiple memory DIMM slots and PERC SAS/SATA RAID controllers to protect your data across 6-26 2.5" or 3.5" drive bays making the PowerEdge 2U series the perfect storage server range. The high-availability, enterprise class systems provide full redundancy from power supplies to enterprise hot-swap hard drives and solid state drives, with Dell's trademark tool-less chassis allowing for quick maintenance and upgrades. While the R710 remains the most popular Dell 2U rack server, the R510 provides a highly affordable alternative with increased drive space through 12 x front facing 3.5" bays and 2 x rear facing 2.5" bays perfect for database applications. With energy efficiency, through low power memory and CPUs, and quiet operation the Dell PowerEdge R710 has proven a valuable asset to homelab users and small businesses without separate server rooms. The introduction of 13th generation PowerEdge servers brings forth DDR4 RAM and E3, E5, E7 V3 and V4 compatibility, allowing for capacities of up to 3TB of RAM and 44-cores in a compact manageable 2U chassis, for ultra-intensive datacentre workloads such as virtulization and HPCs with a upgraded iDRAC lifecycle controller to further streamline updates and configuration. With hosting providers raising their rates to meet increasing energy costs, using a Dell EMC server with the best price v performance is essential. 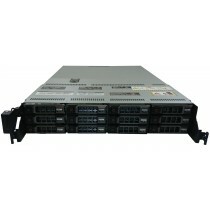 Bargain Hardware stock a wide range of Dell PowerEdge 2U rack servers which can be configured to meet your budget and performance requirements with options ranging from processors to RAM and Dell power supplies to expansion cards, everything is available. 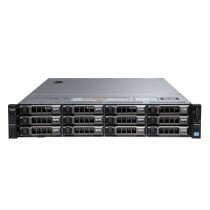 You can view detailed descriptions for the most sought after 2U Dell PowerEdge rackmount servers from the product category pages to the left, or simply scroll down to browse through the full inventory list. For assistance with your purchase you can send through a mail, use the live chat facility or just pick up the phone and call 01254 878 801.